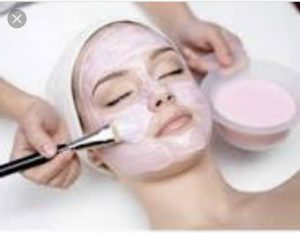 Top 10 beauty tips for 2019, here are my best beauty tips for a healthy skin. The number 1 most important step before you start your day to get rid of all the oil buildup that sits on the surface of the skin. Wipes away any surface oils and dirt. People often forget serum, yet it is the most important step, just as important as moisturising at times.Both men and women should invest in a good serum. A little eye cream under the eyes and around your lips, YES LIPS….. give a plumper and refined look and also rehydrates the lips. Always moisturise your skin guys, even if you only cleanse and moisturise, this is most important. People often forget to do this. Its so important to get rid of dead skin cells at least twice a week. Exfoliating will help your moisturiser absorb into your skin. Moisturise the body and feet and don’t forget the toes. Moisturing feet will avoid cracks and dryness. It is most important to drink plenty of water daily as it flushes out the toxins in your body and is great for your skin. Always give yourself 10 minutes in the sun to allow vitamin D into the skin for an extra boost. After following these steps, start with a good 40 + sunblock, followed by a good bronzer. Finish with a good lip balm to protect your lips from the sun and wind.